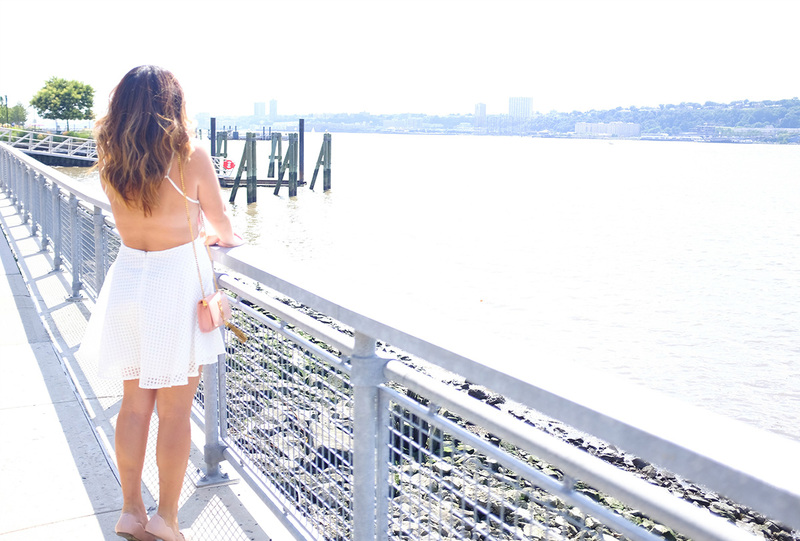 Nothing quite stirs up summer than crisp whites and bright colors. Last weekend, I attended Kelly’s wedding dinner in this twirly dress paired with a blush pink bag and shoes. I went with my scalloped pointed flats since it was a semi-formal fete. I couldn’t feel more girly than I do here, and I absolutely love it. Since the festivities were held right by the Hudson River, Andy and I decided to walk along the pier before everything started. It was such a beautiful day out, perfect for the couple in celebration. Nothing makes me happier than sunshine and warmth! P.S. Check out the engagement pics I shot for the lovely couple, here. 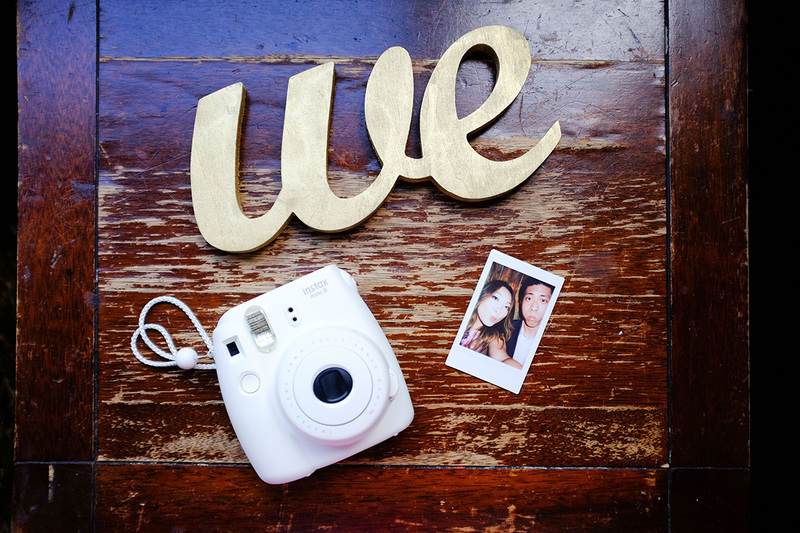 …and a snap of our polaroid snap from the wedding! That outfit really KILLS IT :) I really like your blog and im now following you on bloglovin dear.